YAY it's (almost) Chocolate Day! It doesn't have to be Valentine's Day to be Chocolate Day does it?! 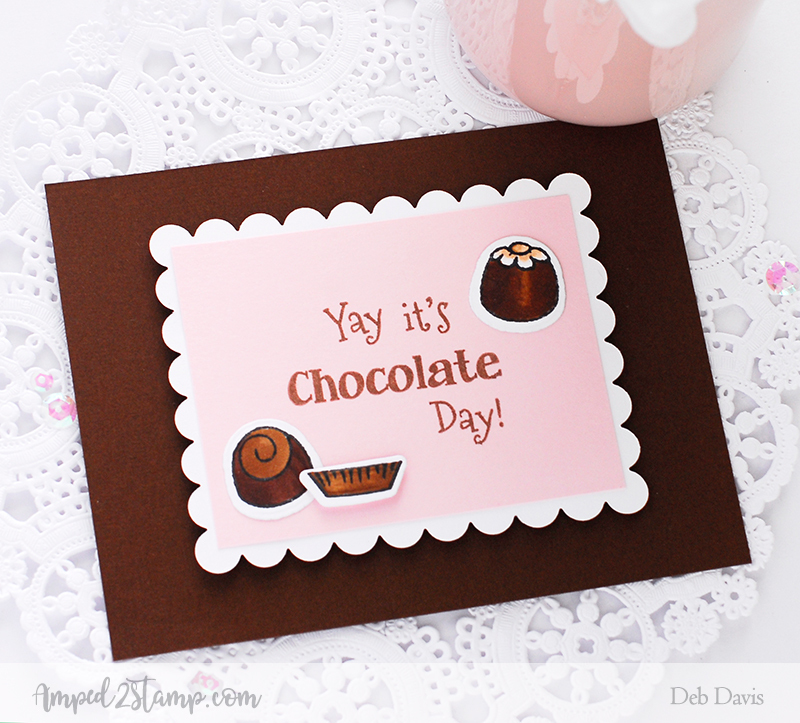 I stamped the sentiment from Crazy for Chocolate using memento cocoa ink onto a pink cardstock. The white scallop is an ancient Sizzix scallop frame die that is literally like 20+ years old. I stamped the bonbons and peanut butter cup with Memento black ink and colored them with my Copic markers. The "peanut butter cup" can also be used as a candy wrapper like seen HERE. 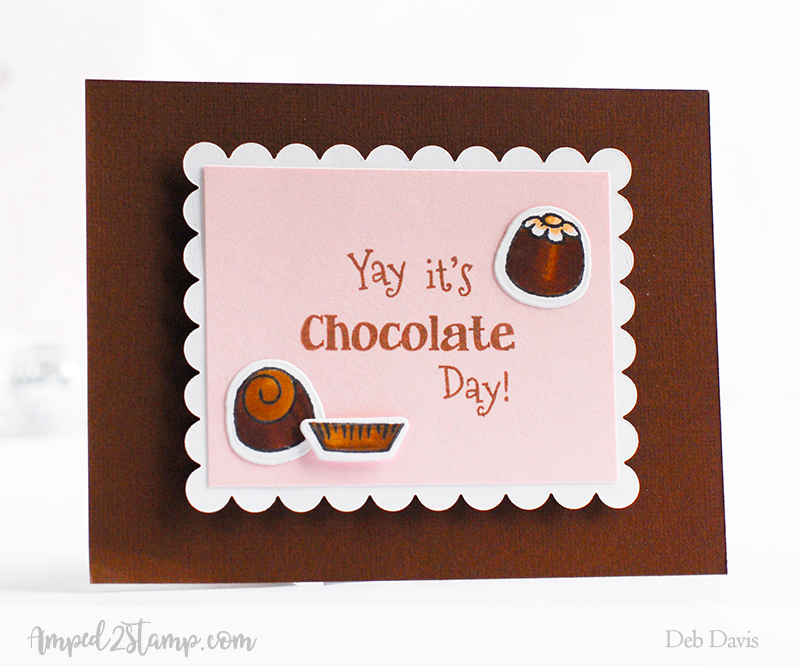 I used the matching Crazy for Chocolate dies to cut everything out then mounted with foam tape onto a "chocolate" colored card base. 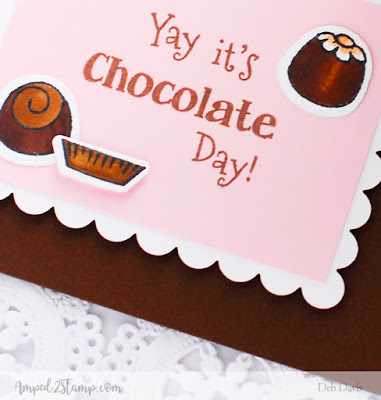 Happy (any day can be) Chocolate Day!